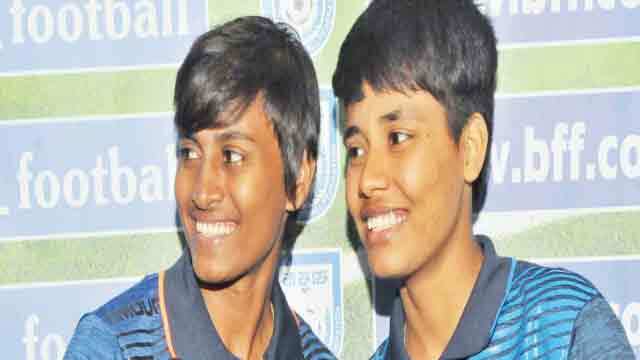 Dhaka, Mar 23 (Just News): Bangladesh’s women footballers Sabina Khatun and Krishna Rani Sarker have been deprived of a chance to participate in opening round of the Indian Women’s Football League as the High Commission of India in Dhaka refused to grant visas for them. Sabina and Krishna were recruited by Sethu FC of Tamil Nadu for the seven-team league, which is scheduled to start on March 25. Bangladesh Football Federation general secretary Abu Nayeem Shohag told reporters that the High Commission could not grant them the visas as documents that their club provided to BFF appeared inadequate. ‘We have informed the Sethu FC that the papers they gave they were not sufficient to obtain an Indian visa. If the club can provide further documents with proper information they will apply for visa again,’ said Shohag. Sethu will play their first game of the league on March 26. The league phase of the competition will end on April 9.